Years ago, I worked with the SPLENDA 365 SWEET SWAPS blogger program to discover new ways I can incorporate SPLENDA into some of my recipes and reduce my sugar intake. Lately I’ve been playing around with ways to swap out sugar like my yummy banana bread recipe with Splenda and I can’t wait to share it! The idea of sugar free banana bread has always made me a little nervous. And really, no sugar banana bread doesn’t exist because of the natural sugar in bananas. But when I heard about SPLENDA sugar blend, I was totally intrigued because less sugar banana bread didn’t sound quite as scary to me. The thing I like about SPLENDA recipes is that the flavor isn’t affected by the swap. Winning! We use to run through bananas like crazy in this house, but the boys have backed way off snacking on this yummy fruit. Lately, I’ve found myself with an abundance of leftover bananas, which we all know means banana bread! 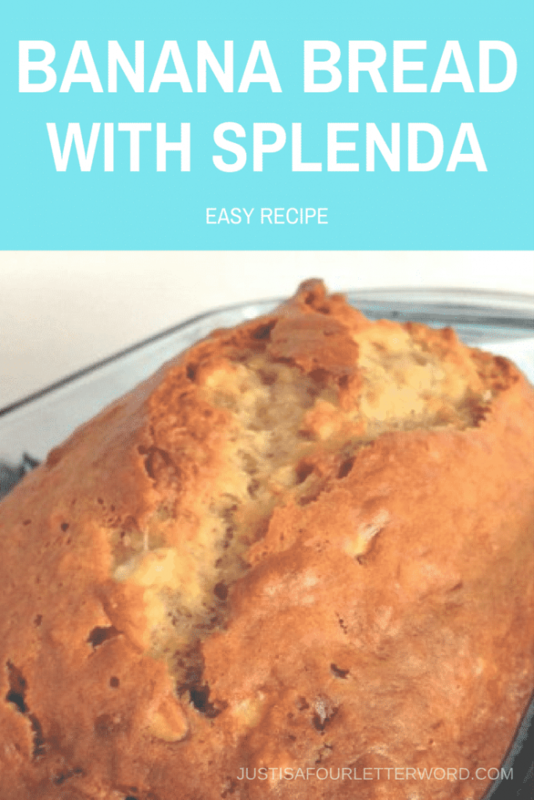 I’m a busy mom and when I bake, I need easy and simple recipes and my Banana bread with Splenda is about as easy as they come! The key is making sure you have the Splenda sugar blend. This is still a dessert and it’s not sugar free, but it is delicious! Trying to watch your weight? Check out my ultimate guide to the FASTer Way to Fat Loss program. I tried making a sort of sugar free banana bread using all SPLENDA on one occasion and another time using the SPLENDA Sugar Blend . I really enjoyed both sweet breads, but I think will use the blend in future recipes. It was delicious! And yes, I will share. 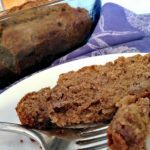 Splenda recipes with the sugar blend aren’t quite sugar free banana bread, but it’s definitely a good start if you want to cut out sugar in small ways. And what is super fun for me is baking with my kids. Baking banana bread is a great way to get young kids in the kitchen because there are lots of easy ways to get them involved. My sons love peeling and mashing the bananas, cracking the eggs and even measuring and pouring. When my oldest son was in 2nd grade, he even wrote a report on how to make banana bread! I guess you could say it’s a family affair. This banana bread with Splenda recipe couldn’t be easier. You could spice it up any way you like by adding nuts, raisins or even chocolate chips. I hope you love it as much as we do! 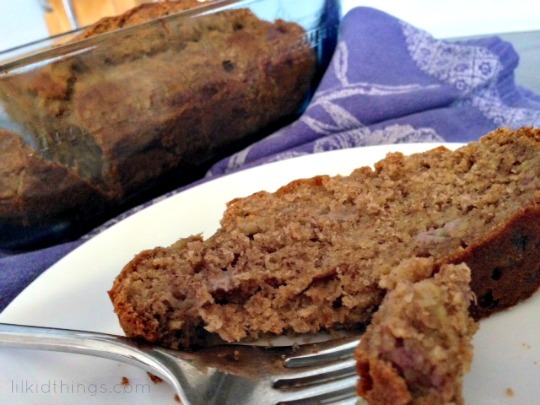 Delicious banana bread recipe with Splenda means less added sugar! Combine all ingredients, adding flour last. My Banana bread with Splenda nutrition facts are based on the first ingredient option and one slice (out of 6 total servings). Swap outs will change these numbers. Since I made this yummy banana bread, I decided to check out what other Splenda recipes were out there and I found quite a few! Baking with Splenda is a nice alternative to sugar when you need to cut back. I’m always looking for new recipes, so if you have any favorites, please send them our way so we can try them out! For now, here are a few more tasty treats to add to your own recipe book. 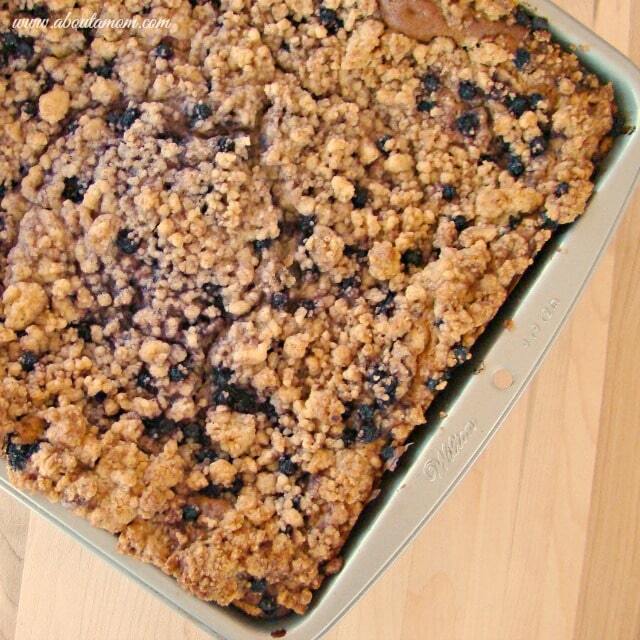 Make this classic crumb cake for breakfast, lunch, dinner or as a snack! Yummy blueberries are comforting any time of year! 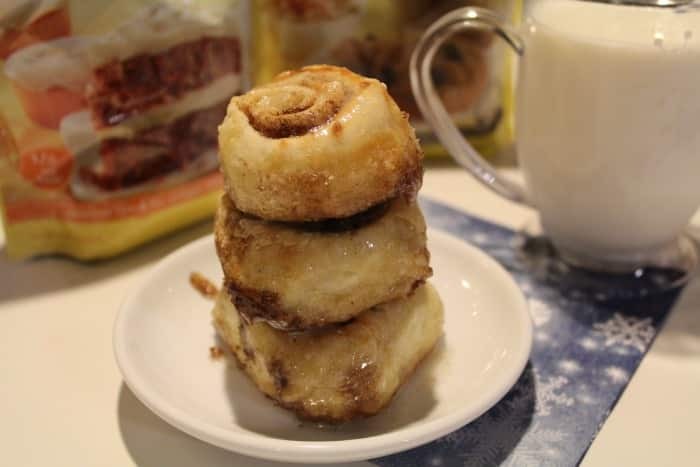 There is nothing like the smell of homemade cinnamon rolls baking at home. Make them for a special morning or a regular ol Saturday and skip the sugar with this recipe. Try this simple and sweet apple pie recipe without the sugar when you want a taste of the holidays using this family favorite. 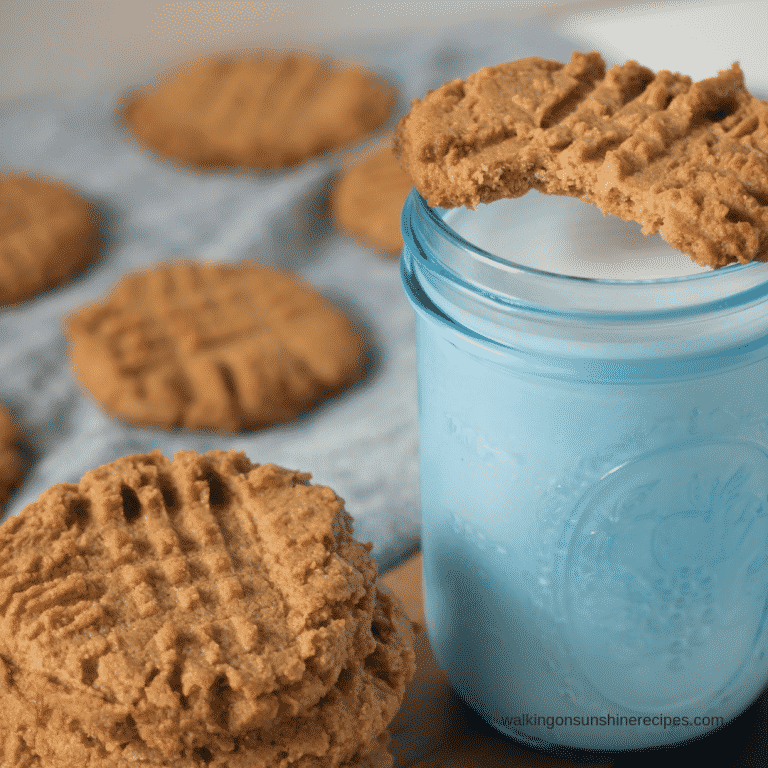 Not only are these cookies made with Splenda, they are also flourless making them Keto friendly! You can make them in no time, which means a treat for you sooner than later! As you can see, there are so many ways to bake with Splenda that are beyond banana bread. If you’re looking for even more, check out Marlene Koch’s Sensational Splenda Recipes: Over 375 Recipes Low in Sugar, Fat, and Calories or keep reading for some sweet Valentine’s Day Splenda recipes. 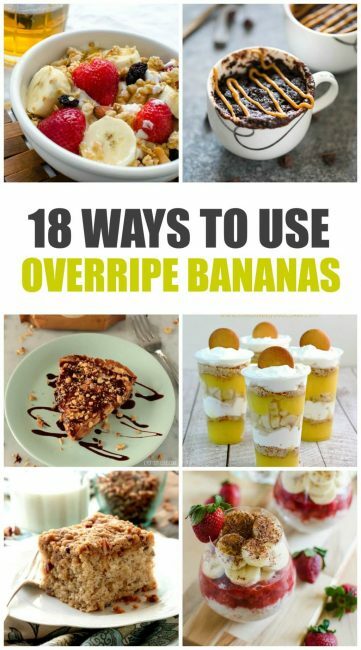 Want more recipes for overripe bananas? Check out these 18 tasty treats to make with brown bananas. Nice and easy recipe! Looks delish too. No offense to Splenda but I’m going to totally try this with Truvia! Banana bread is an all time favorite around our house! 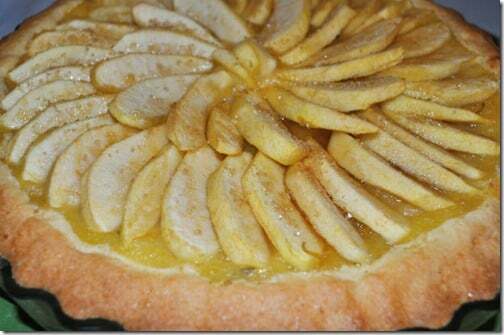 Making this right now and it smells heavenly! I added 1/2 tsp of cinnamon! That actually looks delicious and I need one dish recipes like this so badly, with my energy levels. Thank you!! I just made this recipe into 12 small muffin cups ( not the mini). Delicious. How I changed it for me is I used 1 large banana, 1/4 cups of walnuts, 1/3 cup of spray butter (I can’t believe It’s not butter) No Calories… and cooked them for 13 minutes. YUM… My Husband will even love these. I will be freezing these individually so they won’t get moldy like my last ones did. Thanks for sharing! Freezing muffins is a great idea! Can you share a recipe using splenda to make muffins? I just made this and the taste was good (no after taste with the Splenda) however, it was dark, and kind of flat. I baked it in a glass pan for exactly one hour…does it turn out better in a non stick pan? That’s a great question! I also use glass pans. Depending on your oven you may want to play with the time to make sure it doesn’t overcook. With mine, the edges do get a little dark by the time the center is done. If you try non-stick, I’d love to know how it turns out! Vanilla? as in extract or pods? Baking target for a diabetic family member so will it be needed at all? I used extract but I don’t see why you couldn’t swap it with other options. I have made this a few times now and me and my wife enjoy it every time. This last time I tried it using muffin tins and 1/2 cup less flour baked for 30 min and they came out great. Though I could probably reduce the cooking time a bit lol. I’m so glad to hear you all loved it! Thank you for sharing your tips! I just made this recipe with a few tweaks. I used Red Mill Stone Ground wheat flour, added in 1/3 cup of chopped walnuts and 1/3 cup of chocolate chips. It turned out perfect and so moist! I will be making this one again. Thanks so much. Hmmm I’m not sure. I know ovens can vary. Did you use the Splenda/Sugar blend? Using only Splenda may merit a little tweaking. I baked two loaves of banana bread because like you said the bananas were turning brown. I ate three pieces. Thank God I gave the rest to my two neighbor lady friends. Thanks, I believe I might go bake again. I did not have Splenda so I used another sweeter but it was delicious too. I don’t use it in my recipe. There may be some that do but this doesn’t need it! Do you have breakdown of carbs, carbohydrates, etc? Hi Mary, I’ve just added this info above. Please note, it’s based on 6 servings and the first ingredient option in the recipe. For instance, when I say to use butter or margarine, I’m calculating for butter. Thanks for reading!